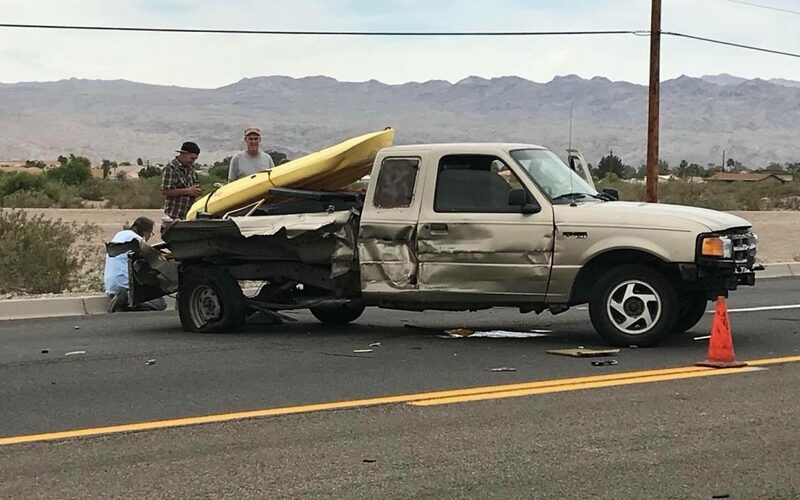 No injuries were reported after a two-vehicle collision Sunday afternoon at College Drive and Highway 95. Police say Ryan William Barr, 41, had reportedly collided with a stalled vehicle in front of him, being driven by Charles Thomas Cameron, 43. Cameron was arrested for an outstanding warrant and Barr was cited and released for driving on a suspended license and failure to reduce speed to avoid a collision.